Welcome to the second day of sneak peeks from Taylored Expressions where the design team will be peeking more super cute stamp sets that will be released this thursday! Today, I am previewing the newest Moka on the block who is just in time for graduation - please welcome Moka Jerome! For my second project, I made this card using the new stamp set: Happy Heart - with is a new mini set from Taylored Expressions :) I love this set - the fonts are so amazing and the sentiments are so much fun!! There are so many awesome new mini's and petite stamp sets being previewed today all that will be released on Thursday - so hold on to your coffee mugs and join me in hopping along to see all the new creations that the design team (and two wonderful TE alums) have in stock today!!! So many fabulous elements to both cards! So unique! Love them both. Wonderful cards, Sankari! Love your coloring of Jerome! And lovin' all the buttons on the second one! These are AMAZING Sankari! WOW WOW WOW! I am always blown away by your creations, and these are certainly no exception! 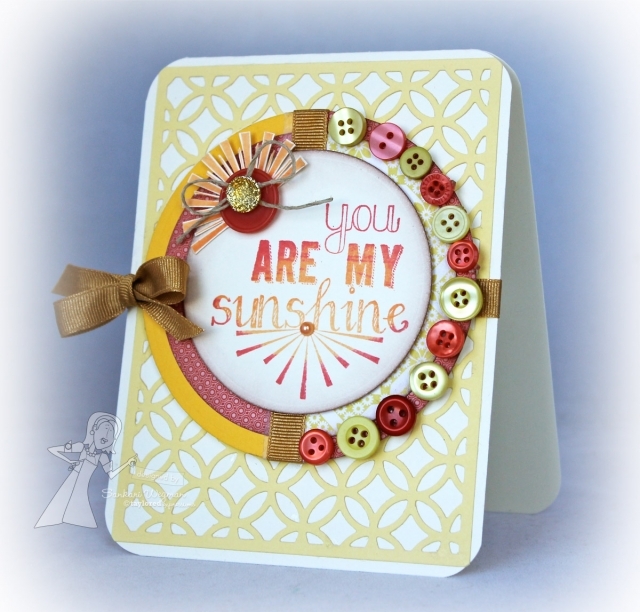 Wow, Sankari, beautiful coloring on your first card and I love all the yummy buttons on the second!